Sometimes you stumble across a portfolio where the artist only has a couple of comic based pieces, other times there can be just one work so brilliant you'd risk being stoned to death by fellow art lovers just for putting something else beside it. 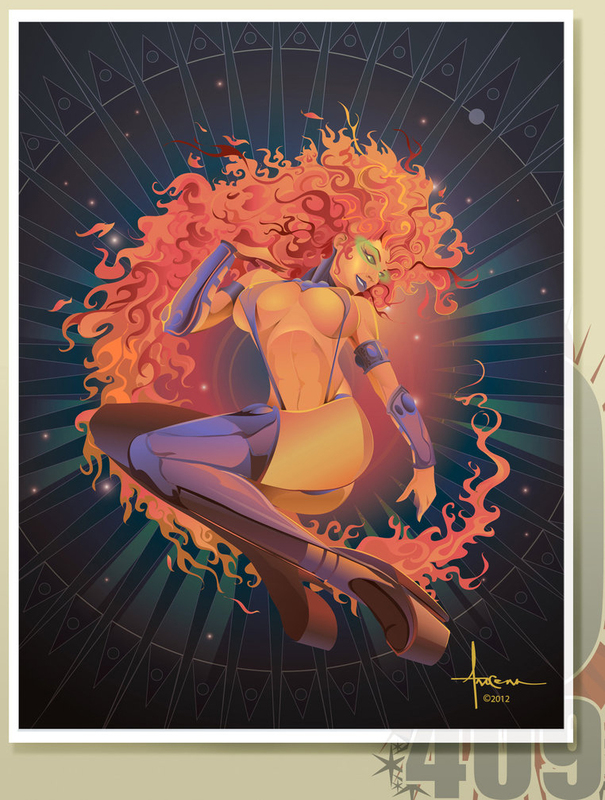 These are Random Works of Wow, and illustrating the point is artist Orlando Arocena with Starfire. A professional graphic designer and illustrator by trade, having worked with some of the biggest brands on the planet, Orlando sure didn't slack any when applying his talents to this fabled member of the Teen Titans. I tell 'ya, New Teen Titans fans are everywhere! What do you think? Sound off below or to view more of Orlando's mind-blowing work, click this here jump.